I’ve been on and off Weight Watchers for the last three years and it’s safe to say that I’m really and truly off right now. Like, I just went to the site to track my points for the first time in weeks (and weeks and weeks) and I didn’t even recognize the log in page. There was a whole year where I tracked points religiously. Or maybe I mean to say continuously. Because it was an all-day-everyday thing. It was half of what I thought about and three quarters of what I talked about. And then, one day, I stopped. I mean, not totally, but I stopped being such a psycho about calculating points and weighting myself. I had lost a very decent amount of weight. I missed drinking good beer in large quantities and eating meals that were not mostly composed of green leaves. And I really, really missed baking. I went a whole year without baking more than probably six or seven times which now just seems ABSURD to me. Baking has been one of my hobbies since I was a kid. Now, I bake a lot. Maybe more than I should? It’s kind of negatively affecting my life. Like an addiction! 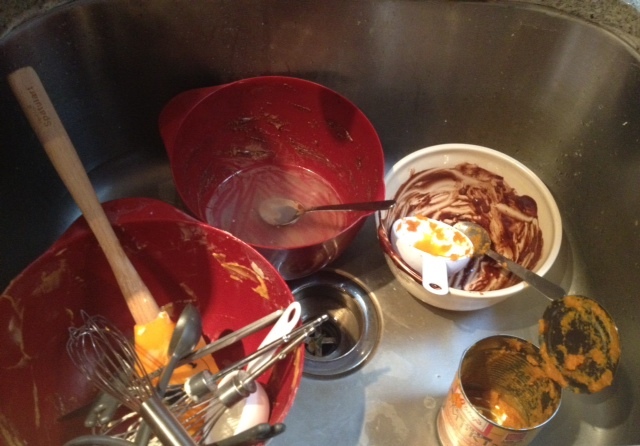 So, I’ve decided that I’m going to start baking in moderation. Or at least, not when I need to get other things done. I’m telling myself that I’m going to plan ahead and stick to those plans! Which is, I guess, something that I learned from Weight Watchers many moons ago before I fell off the wagon. Anyway, I’ve annoyed myself by writing all of the above because my original intention was just to tell you about two good things I baked recently! I used this Smitten Kitchen recipe (well, adaptation of a Martha Stewart recipe) that I’ve been a big fan of since I first tried it last fall. Pumpkin and chocolate are amazing together and these brownies have just a little bit of cayenne pepper, setting them apart from other “fall” desserts. 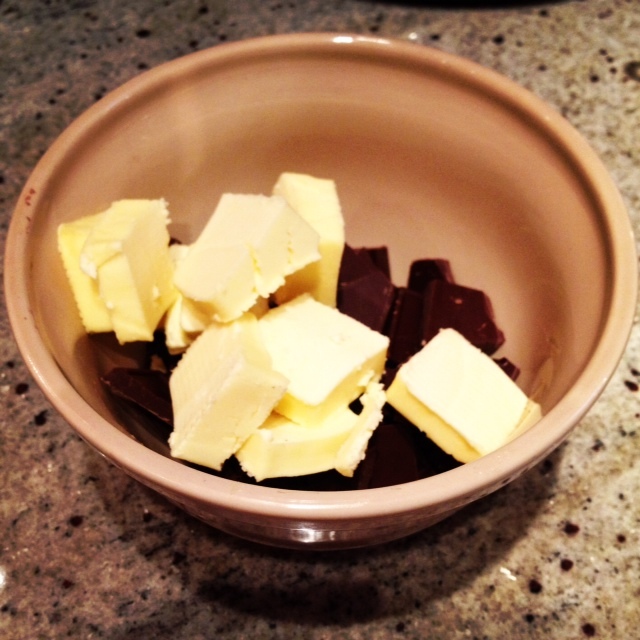 The only part of the recipe that I didn’t follow was the whole melting the butter and chocolate with a double boiler. I don’t have a double boiler and I also am too lazy to purchase one. The microwave worked just fine for the task. I meant to take a photo of the finished product when it came out of the oven, but I didn’t because I was in a rush. 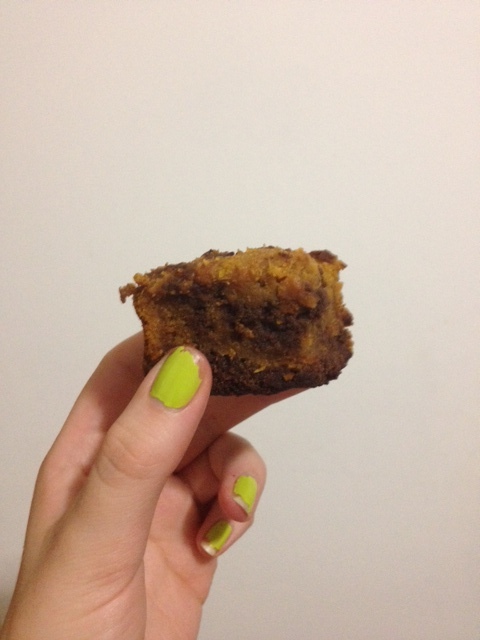 So, I took a picture of the last brownie left in the batch! Note: These are even better after a few days! 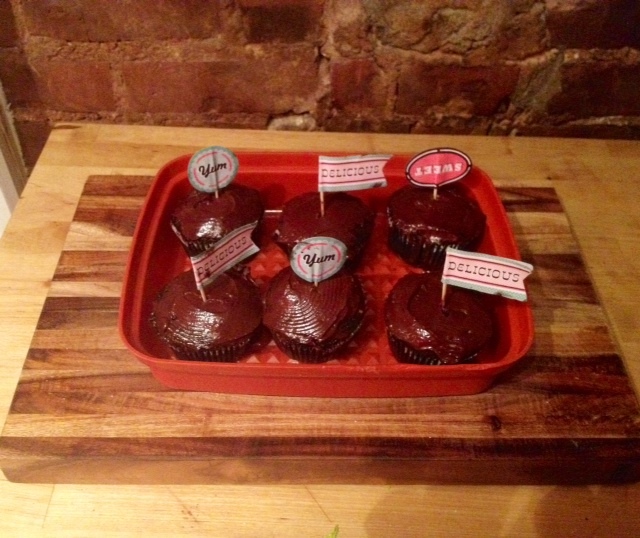 OK, I made up the name for these chocolate-banana cupcakes myself. I needed to call them something clever because they were for our book club discussion of David Carr’s The Night of the Gun, which incidentally is about addiction. I adapted this recipe from Joy of Baking. And by adapted, I mean I tried to halve it and then I accidentally added twice as much milk as I needed and then I tried to fix it by only adding a little bit of vegetable oil. But they turned out to be amazing! They were really moist – I think because of the bananas – and um, basically perfect. I’ll just have to figure out what I did exactly before I try to replicate my success. 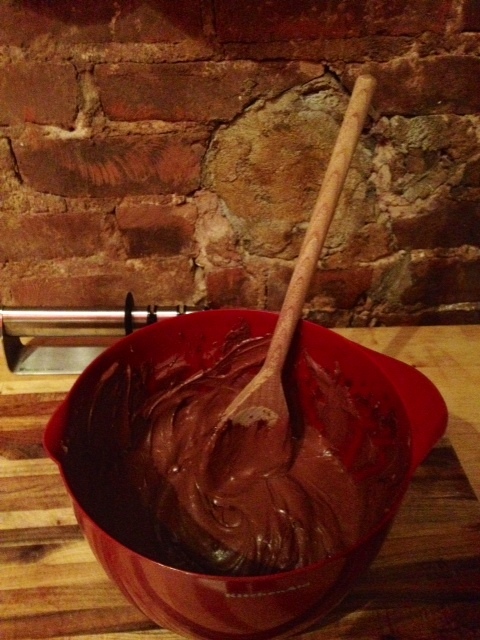 I also made my own frosting for these…by hand. Aggressively stirring a bunch of butter and sugar and cocoa powder together at 11 PM isn’t so much fun, but the finished product was delicious! What should I try making next? (Now that I’ve written about these I’m excited to try something new!) A pie? One of the cakes in Baking by James Peterson? Whatever I do, I’m going to set aside an afternoon weekend for it so it doesn’t make me crazy. Also, there won’t be a Friday Roundup this week because I’ll be in Montreal, which I’ll tell you all about once I’m back! Haley, you should really have a hand at trying to make a “Torta Caprese”. I will be promptly at your house if you decide to make it. Alex! We should make this happen. But you are welcome anytime! I thoroughly enjoy this post. Both look delicious! I wish I was around to enjoy your treats. Also, great nail polish.